Lisburn Castlereagh is located on the edge of Northern Ireland's cpaital city, on the main Belfast – Dublin corridor means businesses have access to up to 3 million people and is one of Northern Ireland's fastest growing regions with strong cluster in manufacturing, engineering and agri-food. Lisburn Castlereagh has a strong, pro-business, vibrant economy, skilled workforce and boats the best of both worlds with beautiful countryside sitting alongside modern urban development. 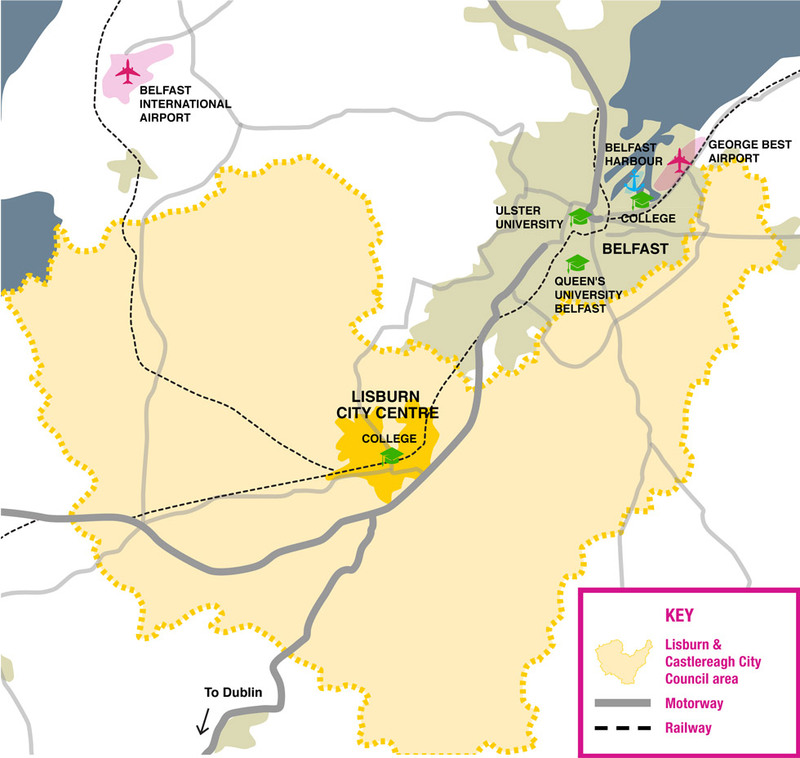 As Northern Ireland's best connected city, with minimal road congestion, easy access to rail, ports and airports, it is excellently placed for business with most international cities.